As most of you know, I’ve been a big fan of Vipre Antivirus from Sunbelt Software for about 4 years now. However, they were bought out by a big corporation about a year and a half ago. 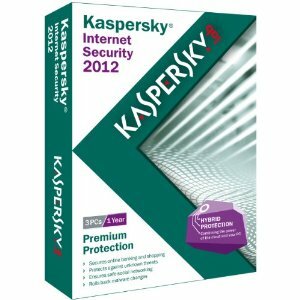 Since then, the quality of their product has taken a nose dive, so this year when it came time to renew my subscription, I decided to move to Kaspersky’s Internet Security 2012 package. 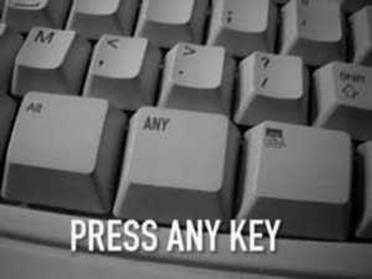 I have been using this at work, and we use Kaspersky’s AV on all our managed workstations and their Security Center software on all our Windows servers. I can’t tell you how many computers that I fix every year that have Norton, McAfee, AVG, Avast, Vipre, or some other brand of either paid or “free” AV software. I have yet to repair a computer with up-to-date Kaspersky software loaded and activated on it. If you follow the link listed in this article, you will be able to purchase a 3 user license version of Kaspersky Internet Security 2012 for only $19.99. That’s $60 off the regular retail price, and actually cheaper than just the AV product. I don’t know how long this price will be available, but even if you still have some time left on your AV product, buy this to replace it with when the time comes. Like most AV and IS products, there is a large download to do AFTER you install it to get the product up-to-date. But once it is installed, you can just “set it and forget it”, because it works like a champ! Do yourself a favor and take advantage of this special pricing right now! Over the last month, all the tech news has been dominated by the passing of Apple Computers’ co-founder Steve Jobs. Most folks can agree that Jobs changed the way computers interfaced with people, and vice versa. Dennis Ritchie, (aka DMR), passed away on October 12th, and the world barely noticed. Most folks don’t even know who DMR was, or what he did to revolutionize computer programming. Without DMR, there would have been no personal computers, MAC OSX, Windows OS, Linux OS, and a host of other OS’s and programs. Steve Jobs may have changed personal computers for all of us, but he was standing on DMR’s shoulders when he did it! I personally owe DMR a huge note of gratitude, as I made a living for a while as a “C” programmer. Read more about DMR at Dr. Dobbs. SPAM. Everybody gets it, and nobody wants it. If you have only one email address, SPAM can drive you nuts. Always guard your primary email address like you would your SSN. Only use it for communication with your Internet provider. Most folks hand out their primary email address to friends and family, but therein lies a big problem. You can be as vigilant as a Marine Corps drill sergeant, but if one of your friends or relatives is a security slacker, (yeah, you know who you are), you can still be in big trouble. But don’t worry, there is a solution, and it’s called having multiple email accounts. Everyone needs to have at least three “throw-away” email accounts. This can be an email account from Hotmail, Yahoo, Excite, or Gmail. They are free to setup, have built-in SPAM protection, and when you start getting overrun by SPAM, simply stop using that account and create another one. This email account could be used for all your friends and relatives. Get another account just for your social media connections. Get a 3rd account just to do all your online bill paying and banking with, and do not give this address out to any of your friends, relatives, or associates. If you do a lot of online shopping, create another account just for that. By separating email account functions, it will be easier to manage the amount of SPAM that you get in your inbox. If you need to download something and it asks you for an email address, try using a free service like 10 minute email, so that you don’t give out a real email address that some spammer can grab. Spambox is another free service that creates a dummy email account for you and forwards the mail one of your “real” email accounts. When you start getting SPAM, simply delete the Spambox account. There are other tools that you can use, such as Cloudmark, Mailwasher, and a host of other services, (just Google “free spam blockers”), and you’ll see what I mean. But in my opinion, the best defense is to have multiple email addresses. Get multiple email addresses, one for communicating with friends and relatives, one for social networking, one for your banking and bill paying, etc. NEVER, EVER respond to a SPAM email. If everyone would stop responding to SPAM, the profit motive would dry up, and SPAM would go away! NEVER give your primary email address out to anyone. If you follow this rule and you start getting SPAM on this account, you can complain to your Internet provider, as they have sold their email list to someone. Tell your friends, relatives, and associates, that if they want to send you that funny email that has been forwarded all around to world, to use BCC:, (blind carbon copy), instead of TO:, so that your email address doesn’t show up. These rules are brought to you by someone who has learned them the hard way. Years ago, when I first starting getting my own domain names and developing web sites, I foolishly placed my real and primary email addresses on my websites. That was over 15 years ago, and I still get SPAM email from all the spammer lists that those email addresses are on. I’ve had to change primary email addresses, and create “dummy” email addresses that forward to “real” accounts, just to cut down on the SPAM. Remember, the only good SPAM, is the one that comes in a can.